Travelling with kids can be tricky at times, but Spain is the perfect family destination. A holiday in this family oriented, fun loving country can easily keep everyone entertained, as Spain offers plenty of interesting attractions, and its culture and history is colourful and enjoyable, too. 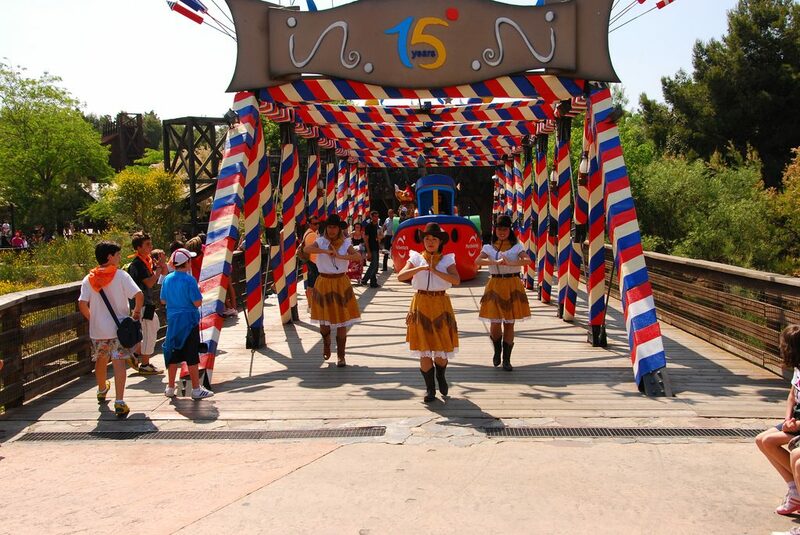 You’ll find that every region is very distinctive and has something different to offer, and that includes fun attractions that kids will enjoy. Here’s our pick of the best. This massive amusement park is where you’ll find Europe’s highest rollercoaster, a water park packed with exhilarating rides, and all kinds of shows and entertainment. You can buy various combination or multi-day tickets, including on-site accommodation. The park is closed for most of January and February. The biggest theme park in Spain is found in Alicante, next to Benidorm, the country’s hedonistic capital. Something like a Mediterranean Disneyland, it’s full of all the scary rides and colourful shows you would expect, divided into sections devoted to ancient Egypt, Greece, Rome, Iberia and more. Check the website for opening times if you’re visiting outside of high season. Everyone knows that Spain is a nation obsessed with football, and fans visiting from abroad won’t want to miss the famous Santiago de Bernabeu stadium, home to Real Madrid. Visiting the stadium and taking a tour is one of the most popular things to do in Madrid, for good reason. Probably Spain’s best zoo, located within an enormous green city park. Madrid’s Zoo-Aquarium is home to wildlife from every continent and is one of the city’s best family-friendly attractions. After a day out at the park and zoo, you can hop on the cable car back to the city centre. 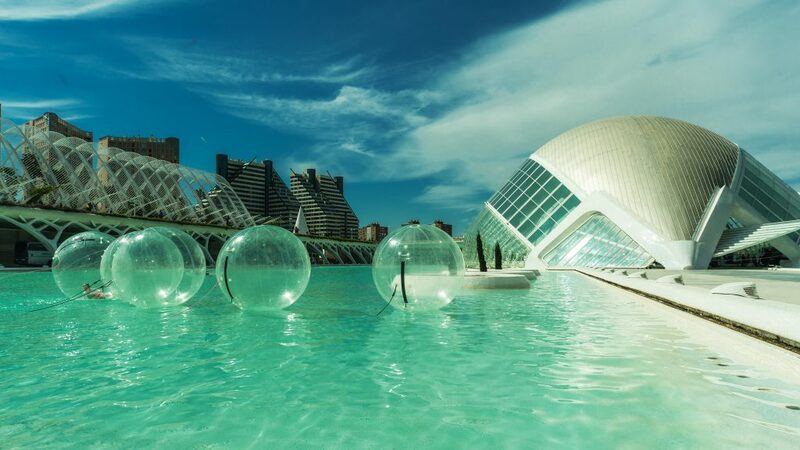 The eastern city of Valencia is home to this famous complex of futuristic buildings, mostly the work of architect Santiago Calatrava. Kids will love the interactive exhibits at the science museum and the underwater world of the Oceanografic. The most fun way to get here is by bike, riding through the beautiful green Turia Gardens. Valencia also gives you the chance to recreate the tale of Gulliver’s Travels, in which the giant Gulliver is tied down by the people of Lilliput, who climb all over him. The large Gulliver Park playground features a giant model of a sleeping Gulliver, and kids will love exploring the many ramps, slides and hidden passageways. Big kids will be pleased to know that adults are allowed to join the fun. Chocolate lovers will want to head straight for the Barcelona Chocolate Museum. The city’s love affair with chocolate goes way back to the times when the troops of the Bourbon Kings were given chocolate for breakfast. Check out the amazing chocolate sculptures and take part in a workshop to become a chocolatier for a day. Cuenca, a town in the region of Castilla la Mancha, is home to one of the most peculiar sights in Spain: las Casas Colgadas (the Hanging Houses). These curious buildings seem to hang over the edge of vertical cliffs, and are sure to capture young imaginations. Some of the houses are hotels and restaurants, which allow you to enjoy spectacular views over the countryside beyond; you can get the best view of the hanging houses from the Saint Paul bridge. Perched high atop a hill in the ancient kingdom of Aragon, this turreted castle looks like something straight out of a fairytale. Dating from the 11th century and packed with fascinating history, it has plenty to interest visitors both young and old. Another of Spain’s fantastic fairytale castles, this one was in fact the inspiration for Sleeping Beauty’s castle. It’s a world heritage site, standing proudly in a stunning location, upon a rocky crag above the confluence of two rivers at the edge of a mountain range. It dates from the 12th century, and is one of Spain’s most distinctive castles thanks to its shape, which is like the bow of ship. 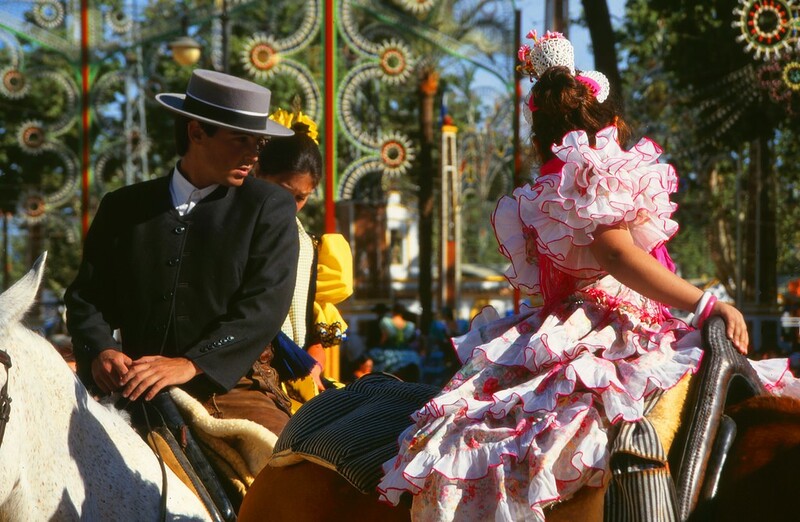 Spain has a few Wild West theme parks that fit well into its arid landscape, and this park is the best of them. Watch cowboys engage in a shoot-out and visit the large zoo. Adults will enjoy the saloon bar complete with can-can dancers. You can also enjoy a splash in the pool during summer. One of Spain’s most famous equestrian schools, the grand Royal Andalucian School of Equestrian Art trains horses and riders and a visit here is a dream come true for any horse lovers in your family. You can watch the graceful horses and their skillful riders in training sessions before the highlight – the classic Andalusian horse show, in which tricks are performed to classical music. Don’t forget to visit the museum, which has a few impressive exhibits.